You’ve probably heard of gum disease, but you probably don’t know how serious it can truly be for your smile and your overall health. It is often an invisible problem, and it affects most people at some point; the estimate is that up to 80 percent of American adults are suffering from gum disease at any given point. Luckily, family dental practice Feigenbaum Dental in Creve Coeur, MO offers total periodontal therapy for the treatment of gum disease. We often diagnose gum disease during regular general dentistry exams. If you don’t visit the dentist every six months, this is one of the reasons you should. To determine whether or not you need periodontal therapy for gum disease, we’ll look for some telltale signs. Bleeding gums, bad breath, gum redness, and swelling will tip us off to the presence of gum disease. You may not notice symptoms, but make sure to visit our Creve Coeur dental office regularly and get checked to make sure you don’t need periodontal therapy. If you do need periodontal therapy, you can receive your treatment right here at the Creve Coeur dental office you trust for all of your other family dental care needs. Non-surgical periodontal therapy generally involves scaling and root planning, a process by which our dentists clean and detoxify below the gum line, then modify the tooth roots to keep future infection from occurring. Using soft-tissue dental lasers, Feigenbaum Dental in Creve Coeur makes periodontal therapy even more sterile and comfortable, and you should find that laser periodontal therapy leads to shorter healing times, too. 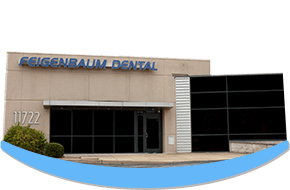 For successful gum disease treatment of your gum disease, consider laser periodontal therapy from Feigenbaum Dental. 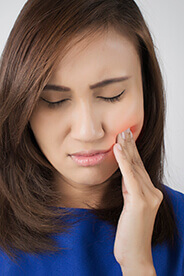 These are just some of the complications that can occur if gum disease goes untreated, and these are the reasons to consider periodontal therapy from Feigenbaum Dental if you’re suffering with gum disease.